With this product, you earn 118 loyalty point(s). We do stock a metal upgrade pro version of the M4A3 Sherman. Please see the link below. 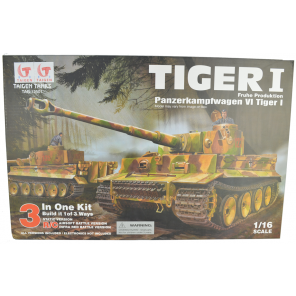 Hi just bought Sherman very nice tank works well however when received item the package had been resealed and the item inside the box was open sure this has nothing to do with nitrotek but the delivery company parcel force. Mmmmmm tank a great item for anyone to enjoy.